On an average, the life of every Indian revolves around 3 primary life goals- Wealth Creation, Child’s Education/Marriage, and Retirement. Read on to know how you can achieve them with ULIPs. All your other life goals, like your dream car, dream holiday, dream house, building your 1stOne Crore corpus and so on can be considered as a sub goal of one of these primary goals. Life Mein Har Cheez Ke Liye Fight Hai . . .
We all struggle to fulfil the two different needs - Insurance and Investment. That’s where ULIP comes to our rescue! A Unit Linked Insurance Plan (ULIP) is the perfect product that offers the combined benefits of a Life Cover and Investment. Thus, the premiums invested in a ULIP plan have a dual purpose. The first is Life Cover, which pays an amount called Sum Assured to your family members in your absence. The second is Investment, which makes your money earn market-linked returns and on completion of the policy term pays a lump sum amount known as Maturity Benefit. This amount helps you in achieving your #LifeGoals. Comprehensive Protection - A ULIP provides life cover to its fullest. You can increase your protection quotient by adding riders to meet a particular protection requirement. The life cover benefit payable is always the highest of your chosen sum assured or the policy fund value. Thus, protecting your loved ones from market volatility in your absence. Investment Strategy– It gives complete freedom to everyone to select an investment strategy based on their knowledge. So, if you think you can handle your investment without any help, you can use the independent strategy to have access to funds like large-cap, mid-cap, small-cap, hybrid, bond funds or a combination of any such investment funds. On the other hand, if you want professionals to handle and grow your monies, you can select life cycle based investment i.e. Years to Maturity based portfolio management. Here, the premiums are invested in equity funds in the initial years and then reallocated to debt fund as the maturity years draw near. Investment Funds – You get anywhere between 4 to 12 funds with various investment proportions ranging between 100% debt to 100% equity. It means, according to one’s risk appetite, one can invest in any one or more funds to achieve the perfect investment balance. In short, these are tailor-made funds which can help you achieve your goals. Rupee Cost Averaging - Regular long-term investment takes care of any short-term market volatility. In turn, it frees you from timing the market. Top-ups- You are also allowed to make additional investments in your ULIP policy through a top-up. This is an added investment over and above the regular premium you commit yourself to pay throughout the chosen policy term. This investment helps you get closer to your #LifeGoals and at the same time increases your protection quotient too. Loyalty or Booster additions- Additional units are added to your account, thus enhancing the fund value at maturity. Transparent Investment - You get daily NAV disclosure and regular portfolio disclosure along with complete details of all the charges applied to your policy. In short, you get a detailed account of where every single rupee is invested and utilized. Premium Redirection - You can also change the fund in which your future premiums will get invested. Fund Switching - You can even migrate your previous investments from one fund to another fund. This aids you in getting closer to your goals. Lower Charges- The Fund Management Charges start from as low as 0.95% and has a maximum cap of 1.35%. There are also some new age Online ULIPs which have 100% unit allocation. Partial Withdrawals - You can even meet your emergency fund requirements by withdrawing money from a ULIP policy once the 5 year lock-in period is over. There is still a class of investors who think creating your own combo of a Term Insurance Plan and Mutual Fund can get the best of both the worlds along with more flexibility and control over costs. They, however, miss out on the most important part. Choosing the best mutual fund scheme is not an easy task for every investor. One might even end up with an under performer. There are instances where an investor forgets to calculate the risk-adjusted return of a mutual fund scheme leading to high chance of breaking their own promise of investing regularly in the chosen mutual fund or even worst using the mutual funds for immediate needs and jeopardising long-term goals. A ULIP, on the other hand, inculcates good saving habit among its people. The lock-in period of 5 years comes as a boon here. The past performance of a ULIP in the long run of 10 years and above has beaten large-cap and mid-cap mutual funds with a good margin. It also provides its investor with tax benefits under Section 80C for the premiums paid and under Section 10 (10D) for the maturity and death benefit. The best and the easiest way to achieve your #LifeGoals are to invest in a ULIP. 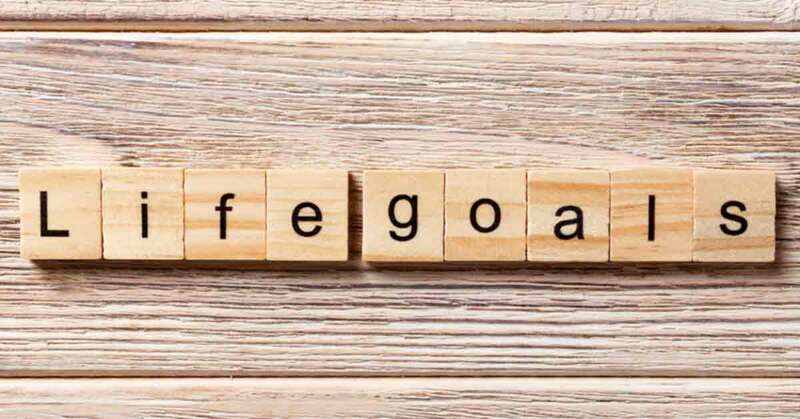 Your #LifeGoals are the ones that are going to need good financial help from you after a period of 10 years or more. Hence, the mantra you must follow is, save and invest early i.e. Yesterday was a Good Time for buying a ULIP. Starting early gives your funds the much needed time for growth. Stay invested whatever the market conditions look like and refrain from exiting or surrendering before maturity or unless the goal is achieved. The new age ULIPs like Bajaj Allianz Future Gain, HDFC Life Click2Invest, ICICI Prudential Life Time Classic Plan with capped charges has made them more competitive in the long run amongst its peer products.